If there is serious need of quite accurate dot alignment on various targeting surfaces, it is a quite hard work to get ideal dot aligning result as expected. According to the adoption of high brightness 635nm red laser diode module, on basis of its at least 5 times brighter laser light emission from laser beam aperture, this red laser device is always generating the purest and the brightest red laser beam and red laser dot in distance. 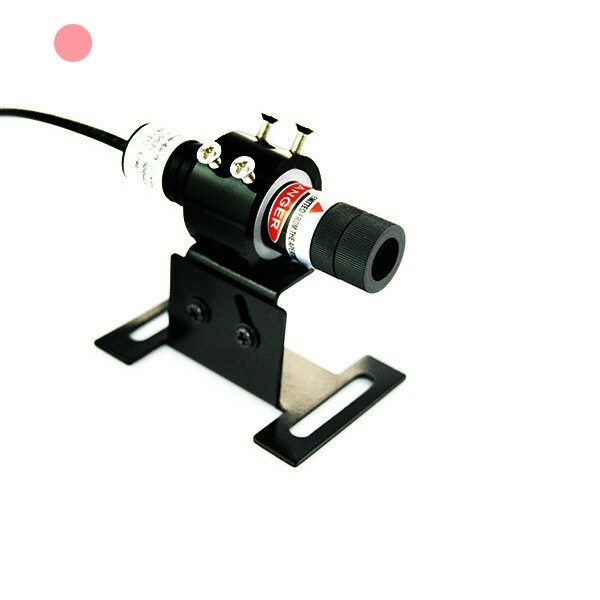 Usually after quite easy installation and adjustment of laser beam focus and dot targeting direction, this dot laser alignment tool is just able to work with quite clear and rapid dot instruction on all working surfaces effectively. It is not an easy job for users to get clear enough dot alignment at quite longer work distance, thus it is just the time for users to give up the use of simple sticker or laser pointer. When 635nm red laser diode module is adopting external DC input power supply, it will make super rapid dot instruction in distance. There is no need to make battery changing, and no worry about laser dot alignment disturb. Supported by 3V or 4.2V DC input power supply, this laser dot alignment tool is able to work within wide range output power from 5mW to 100mW, and then easily obtaining super clear dot instruction on various targeting surfaces. When internal part of 635nm red laser diode is available with TEM00 laser beam mode, no matter what kind of targeting surface, it is getting the best round shape red dot with the smallest diameter. 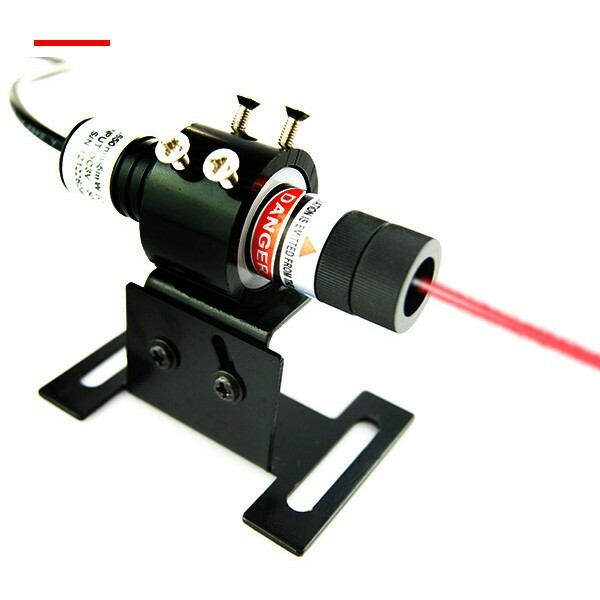 At about 2 meters work distance from laser beam aperture, red laser dot is only available with 1mm to 2mm. 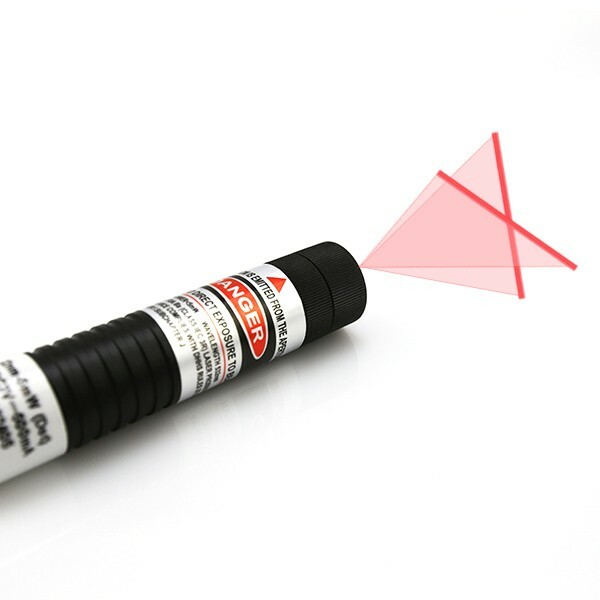 Even though dot alignment work is processed at quite long work distance, this red laser alignment tool is keeping the smallest and the brightest dot instruction while comparing with other visible laser devices. According to very easy roast of laser beam aperture part, high intensity red laser light is temporarily focused into a quite small size dot, and then fulfilling the clearest dot instruction for all kinds of industrial and high tech dot alignment fields. Owing to the special design of electric wires extending for 635nm red laser diode module and DC power supply, the real dot alignment work is allowing operation 0.3 meter to 3 meters in distance. 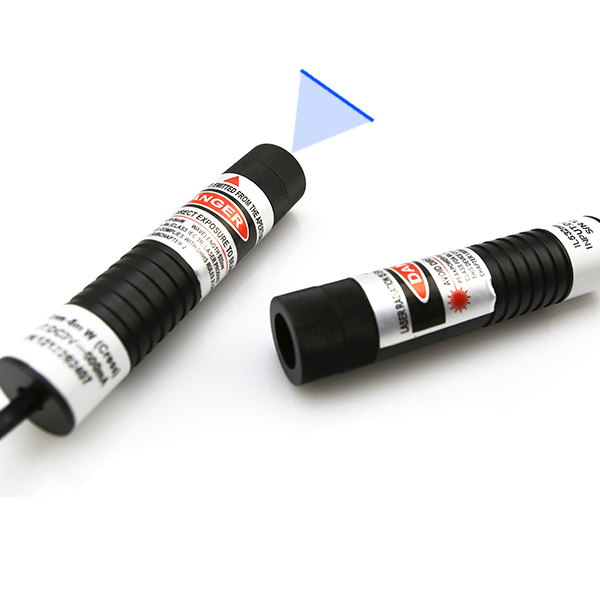 Noncontact alignment laser dot targeting is overcoming any working occasion, such as high height, long distance or other hard reaching places etc. In order to get secured dot alignment in long term use, and avoid hurt caused by intense thermal energy, users should always remember to wear proper laser safety goggles, and then obtaining the clearest and secured dot alignment perfectly. Whenever there is not a good method for users to get super clear and quick line alignment on different working surfaces, it is always not an easy work before selecting a quite professional line measuring tool such as a high brightness blue laser line generator. 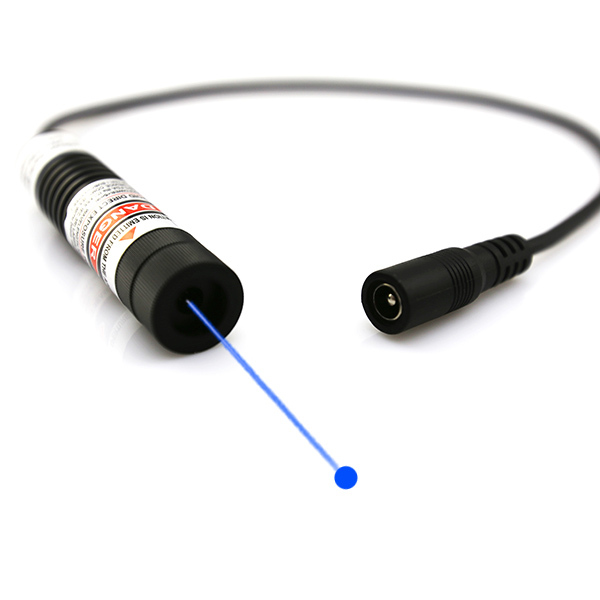 Employed by quite high power 445nm blue laser diode, owing to its import laser diode tech, once this laser line alignment tool is being made with full consideration with thermal emitting system, this high power blue laser module is just easily getting highly stable and reliable blue reference line targeting in long term use. On basis of quite high power of 50mW to 100mW and the application of import laser diode tech, blue laser line generator is always getting improving laser beam stability, and then getting highly stable blue reference line targeting in long term use. In process of long term constant line alignment work, blue laser module not only adopts basic thermal emitting from metal heat sink cooling system, but also getting dual thermal emitting design form metal housing material. According to the adopting of aluminum alloy housing material and copper raw material made laser diode core part, this high power alignment laser gets superior nice thermal conductivity, and then gaining improving laser beam stability in long term line alignment work. In process of quite long distance and quite long term continuous line alignment work, users might worry about laser line aligning accuracy in use. Usually high power blue laser line generator employs qualified glass coated lens or separate crystal lens, according to special design with front beam aperture part design with glass window, this high power line laser alignment tool is gaining super high laser beam transmittance, and quite clear blue laser line targeting in long term use. 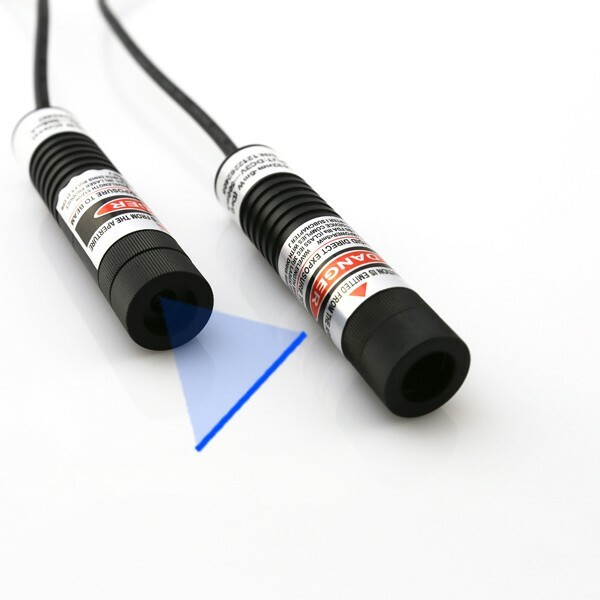 Even though the real laser line alignment is processed for a quite long term, however, this blue laser module is still keeping quite clear line alignment, without any appearance of laser light decay or blur in use. Anytime the real line alignment with a blue laser line generator, although there are some of working places where human hands cannot reach easily, however, it can be easily operated with the assistance of a laser alignment mounting bracket. Once blue alignment laser line targeting direction is freely adjusted within three dimensions, it is always getting no barrier caused by real working environments, and then taking quite low time consumption and manual labor force input, and then achieving high level of accuracy line alignment in long term use. Only according to correct selection of a 445nm wavelength preventing laser safety goggles, this high power blue laser module is just achieving no mistake line alignment safely and constantly.